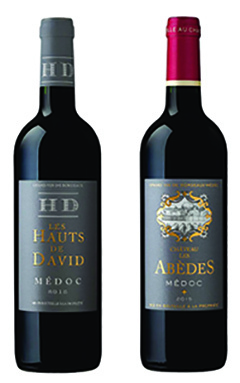 Here is an excellent Médoc 2012, in the aromas of ripe fruits (blackcurrant, blackberry) and of licorice, an enriched, fleshy wine in mouth, with nuances of fruits cooked in pit and cinnamon, ample and frank, typified and deep color, completed with, for example, A navarin of knuckle of lamb or veal flanks in mushrooms and tomato. Attractive 2011, of dark dress, it is a wine in the velvety tannins, of dense mouth, in the complex bouquet. Beautiful 2010, of beautiful purple tint, in the so rich but ripe tannins, was dominated by the blackcurrant and the raspberry, very fleshy as one needs. The 2009, of intense purple color, in the powerful and subtle nose at the same time, in the notes of ripe fruits (blackcurrant, Morello cherry) and of truffle, allies aromatic concentration and flexibility, and pursues its evolution. Excellent 2008, in the very elegant but firm tannins also, marked by its soil fat, persistent and intense in aromas as in structure, with these nuances of blackcurrant and undergrowth and licorice, a wine of supple and structured skeleton.